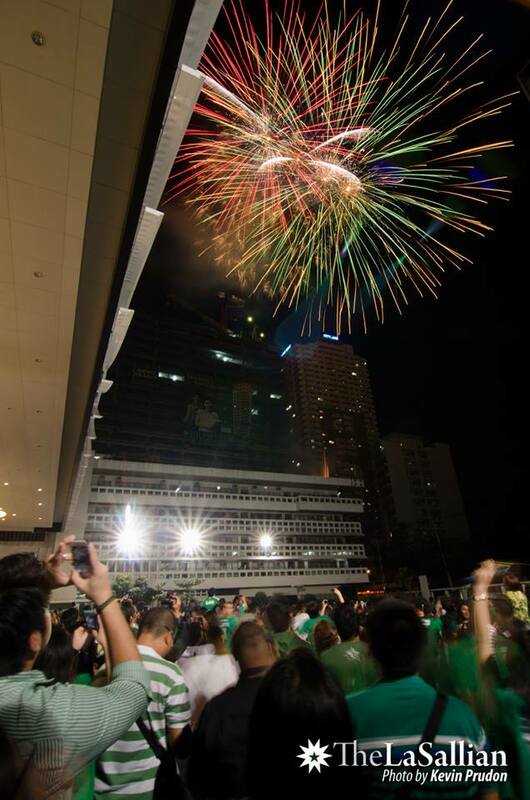 DE LA SALLE UNIVERSITY celebrated its green victory with the Animo Night on October 17, 2013 at the Henry Sy, Sr. Hall grounds. Animo Night is a thanksgiving party for all the sports teams, athletes and their coaches for their winning performance at the first half of the University Athletic Association of the Philippines (UAAP) Season 76. It was also a send-off activity for the teams who will compete in the second half of the UAAP season. A Thanksgiving Mass was held at 4:20 pm to kick off the celebration. Classes in all DLSU campuses were suspended from 4:20 pm onwards to give everyone the opportunity to join the activity. 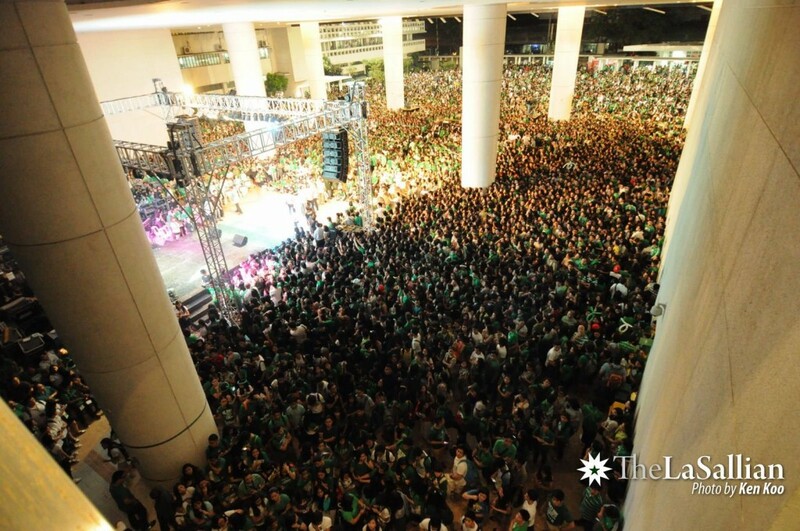 You can’t just imagine how the Lasallian community filled up the whole venue with this kind of Animo spirit. #AnimoNight is currently the #1 trending Twitter hashtag in the Philippines today! The community also used the hashtag #NeverShallWeFail. Booths were set up to sell DLSU Championship shirts. Part of the proceeds go to relief operations for the Visayas-Mindanao Earthquake victims and One La Salle Scholarship Fund.